Thanks for all the amazing community feedback about transmuting unique/legendary cards. Most of you would like to transmute cards you won’t use in the current game, the ones that only consume space in the deck. On the other hand there was a big concern about the reward being too powerful. I think I found a very nice solution. Card Dust, a new type of potion will be introduced. 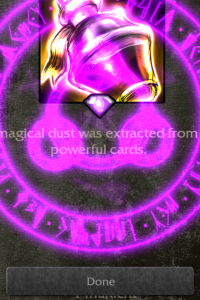 Transmute any two unique or legendary cards (doesn’t matter if they are potions, items or towers) and you will be rewarded with a piece of Card dust. 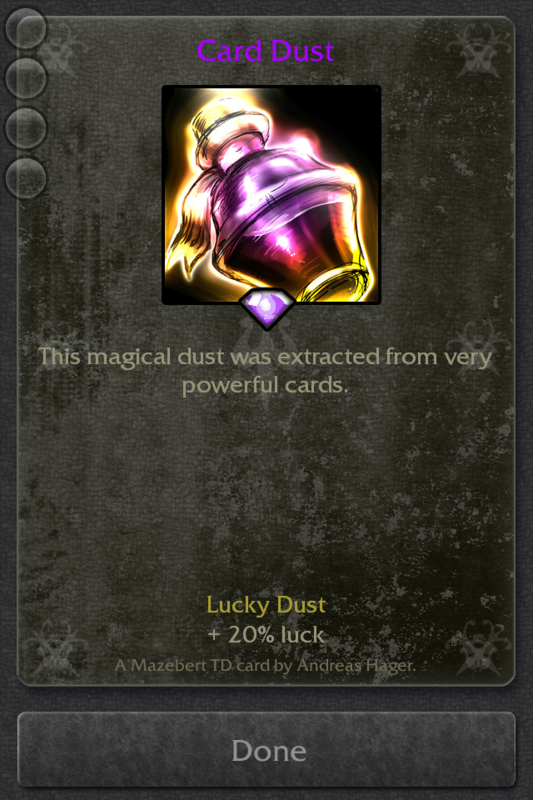 There are three different kinds of Card Dust so far, and I’m up for more suggestions! This entry was posted in Game Mechanics on October 31, 2015 by Andy. level and luck is useless,. It’s easy to level 99. The luck of Abyss King and Knus is overflow, Shadow need no luck. +5 multicrit and +100 base damage approximately equals 50% – 100% strengthen. base cooldown -0.5s make slow towers more useful. Hmm, the idea was to have little rewards for transmuting unique/legendaries. I think destroying uniques you might build in your current game shouldn’t outshine the unique cards themselves. Of course except they don’t fit you’re current strategy. So any of your suggestions would be very powerful, so players might stop carrying with Balu for instance, even if the would fit the strategy, just because destroying him and another card is much likely a lot more powerful. After the cap of Shadow, the game is becoming more like a finishing daily quest game. How about change the chance of adaption to 1% or 2%, that leaves some hope to play than a cap. Even old Shadow is still hard to catch up the creep’s enhance curve. I would probably be pretty sad if I got the +5 level up card. 5 levels really isn’t a lot, carrys are going to get to 99 quickly anyways. It’d be nice for supports who level more slowly. But 5 levels isn’t much to them. It’d be sad to trade in an essence of wisdom and only get a +5 level card. +10 would still be a little sad. I think +15 or +20 levels would be fair. Multicrit is obviously the best one to shoot for, but it’s not too OP so I like it. +20% luck also seems a little underwhelming but I’m not sure what a good number would be for that. When designing the Dust Cards I tried to make them that the real unique / legendary cards are always stronger than the Dust Cards. This way it only makes sense to transmute a card if you absolutely have no use for it in the game. 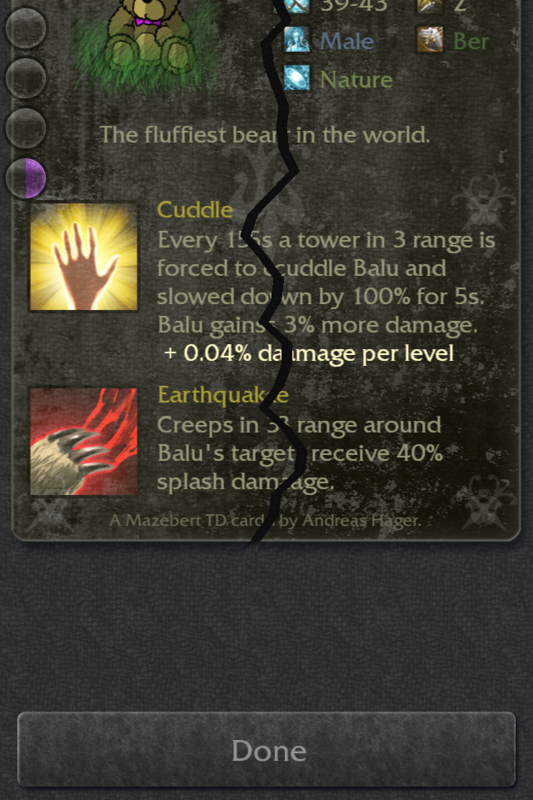 Like transmute Balu + Blofeld = 1 random Dust card. Yeah I caught that from rereading your response to cola after I wrote my spiel. I think it’s nice as an concept to keep them less powerful than their potion equivalents. However, I’d propose that you’re combining two powerful items, it would make sense to me that it would be more powerful..
although it’s possible having weaker dust cards will keep this balanced. I can’t think off the top of my head how many expendable legendary cards there are. I like this no matter what, the dust is a smart way to handle it. The only downside to it is if I accidentally trade in something good! I’ve had so many panic swipes on unique cards and been relieved they didn’t disappear. Maybe there could be a “are you sure? this is a powerful card” prompt. anyways just my input! thank you for always considering the player’s ideas. Yes, there will be a warning message, before a unique card is ultimately destroyed! Thanks so much for your feedback, Abbot! Do you feel like the dust cards are too powerful? Really shouldn’t force players to transmute all uniques! The idea is more to have at least something, in case you absolutely have no use for some uniques in a game. Honestly the only one that I can see being terribly useful is the multicrit. The other two are kinda meh. But I think they are balanced as they are presented here. Actually I was thinking, the luck card could be pretty useful, too. Not OP or anything, just could help round out some edges with stuff that’s not quite at the 80% mark. I still think the +5 levels would just be barely better than a kick to the teeth. How about +20 wizard health or something? That way it’s sort of connected to soul flask, isn’t too strong, but still useful in power play and has some general utility. Uhhh! That’s a great idea. I’d add another dust card: Vital Dust, with exactly the effect you suggested.